Pat, chocolate makes you new friends, this is simple and I'd even dip those rose in the dessert! Oh sweetie, your chocolate pots de creme look so smooth even you forgot skimming. About blackberries, you are right they're very pretty, but yooo.... sour :P Your lemon rind is much more elegant. What is a more beautiful housewarming gift than this? Your pots look absolutely divine! This looks fantastic, Pat! I would love nothing more than to have a taste of that right now. 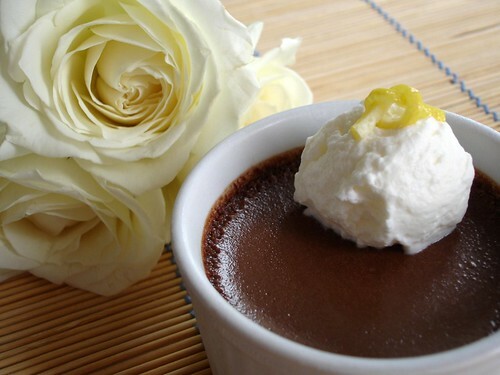 I love Chocolate Pot de Creme and those look beautiful! Love the lemon rind touch. These are so beautiful! And they look ridiculously delicious. I will have to try this recipe as soon as I get a set of ramekins. look DELICIOUS! I seriously need some good chocolate!!! I haven't had a good "pots de creme" in ages!!! this would be great for a holiday party!! Just beautiful, Patricia! I'm not even a fan of coffee, but I can tell it would add a nice extra touch of bitterness to the dark chocolate. So much more grown up and sophisticated than standard issue chocolate pudding. That looks great. I found a simple recipe that works in lieu of the baking, etc., made by simply melting the chocolate into heated creme fraiche. it's rich, but not quite as rich as the custard would be. I added a burnt caramel sauce and fleur de sel salt before serving. I think the method you used makes it a bit more special, but the creme fraiche makes for an easy dessert that's very well received; I use it when I've done a lot of cooking on other dishes. 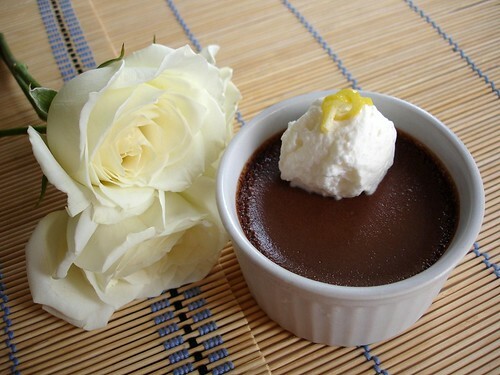 Patricia - these chocolate pots de creme are lovely and a beautiful addition to the housewarming party. They look so smooth and silky, and the little knot in the lemon zest is charming! Mm... you were right, chocolate pots de creme sound absolutely perfect. I love the velvety texture of custard; I imagine it's even more velvety with chocolate added. And isn't Green and Black amazing chocolate? And coffee! I love how well coffee and chocolate go together. Espresso AND chocolate?? Yes please! Whether you are trying or not, we are seduced. What a wonderful housewarming treat!! These sound so delicious! I can imagine the greatness that the coffee brings, Patricia. That looks so delicious and decadent! I have been meaning to try making chocolate pots for a while now. :Blush: at the compliments and SWOON over the chocolate pots de cream! Lydia, I thought it was a pretty simple recipe with a great result! Sara, try them with regular mugs! Carrie, tks for visiting! Good to know you like the recipe. Terry, I don't like coffee either. I don't even drink it, but I'm totally addicted to its smell. It sort of enhanced the chocolate flavor, amazing! Hanne, they really go wonderfully together, you are so right! And that chocolate is just amazing. Aimée, glad to hear that, sweetie! Graeme, it does - I don't like coffee, but it works perfectly here. Pea, I'm so, so glad you like my dessert! Anne, and I can't resist your baked goods! Sunita, thank you, my dear! What a lovely dessert. Chocolate is always good but the way you serve it is irresistible! Nice one! I love your blog as well. I think there are some really fantastic recipes on here! This dessert looks totally decadent. very nice looking desserts! Indulgence! Just beautiful, Patricia! I love the lemon zest knot on the top and the roses. This sounds like a seriously good dessert. This is one hellava house warming :) I'll have to wear very loose clothes. Looks great, Pat. 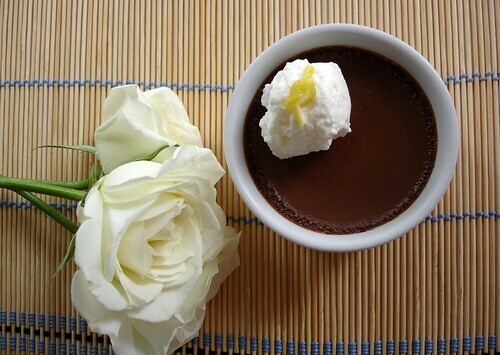 how lovely & it even goes with your blog background ;) i love pots de crème, it's the ultimate comfort dessert! these look like exactly what i *shouldn't* be craving after last week's thanksgiving indulging! they look wonderful. These chocolate gems would be perfect to take to the party Patricia!!!Yammas! oh yes yes please. My favorites! Petis pots de crème! Miam. I think it's a waste of your talent that you don't eat more dessert at home, Patricia! These are so good! Mmmm... you've got my mouth watering with these. 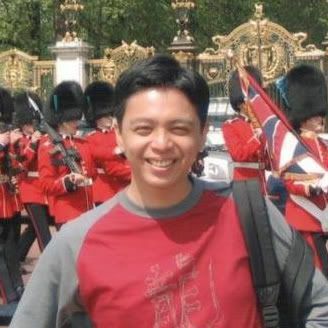 I love the roses in the background of the picture, your photography is so lovely. Yummy! One of my all time favorite. Now that would be a wonderful housewarming gift indeed! And it's so beautifully presented, too. I know what you mean about the smell of coffee, Patricia. Intoxicating! Too bad it doesn't deliver in the flavor. Lovely for the house warming. And who doesn't like chocolate! That's a terrific contribution to the housewarming. I like how you added lemon rind. 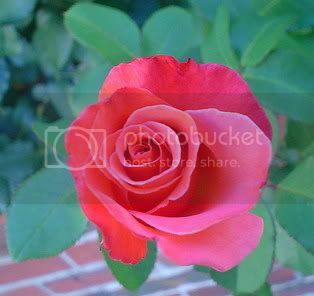 p/s: interestingly, I just posted a recipe about puddings, and I also used a rose in my photo :-) It is from my garden. thanks for visiting my site. you have delicious and interesting recipes, i'll definitely be back for more. Erin, I'm so glad you stopped by, thank you! Lynn, I really like photographing with flowers. Mango Girl, thank you - very comforting indeed! Cakebrain, thank you for visiting! Bea, I'm glad you like them! Hi, sweetie! Glad to know I'll be invited - my pleasure! Hannah, I'm glad you feel this way. Nora, I want to see that rose of yours - from your own garden, how wonderful!! Maybahay, and I thank you for visiting me, too! Dianne, tks for stopping by! 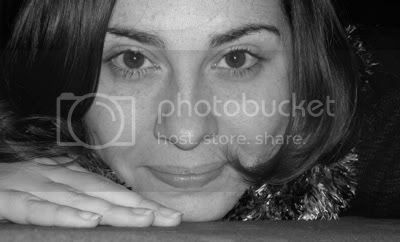 Barbara, thank you, my friend. 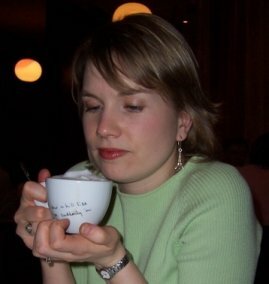 That's so strange - I just blogged about pots de creme too! Great minds think alike. Isn't it the best dessert? Would love to dive in there. LOVE. Yum! Oh how luscious! This looks delicious. You know my love for pots de creme...so I am loving these. Wonderful! These look just delicious! I love chocolate and recently bought ramekins!